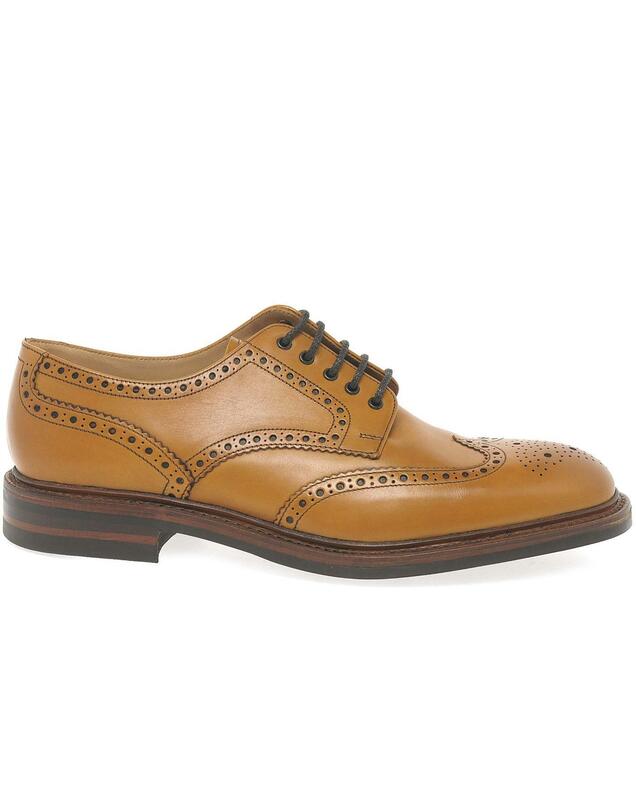 A classic country brogue the Loake Chester Dainite men’s tan leather shoes are fully leather lined for a comfortable wear. Serrated and perforated wingtip detail adorns the upper for a classic brogue look. Sturdy Goodyear Welted Dainite rubber soles adds greater longevity and grip.